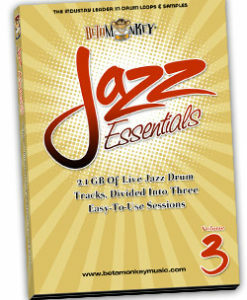 The Jazz Essentials Series delivers jazz drum loops for traditional jazz, big band, swing, bebop, jazz trios, Latin-Jazz, jazz brushes, and jazz ballad styles. To capture the free-flowing improvisational spirit of jazz, we recorded some of New York City’s most in-demand jazz drummers live in the studio. The result? 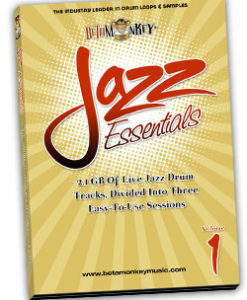 Versatile songwriting and rehearsal tools for jazz musicians who demand 100% live acoustic jazz drum tracks. However you like your jazz, our jazz loops and tracks bring live, acoustic performances to your music. Available as loops as well as full-length drum tracks.